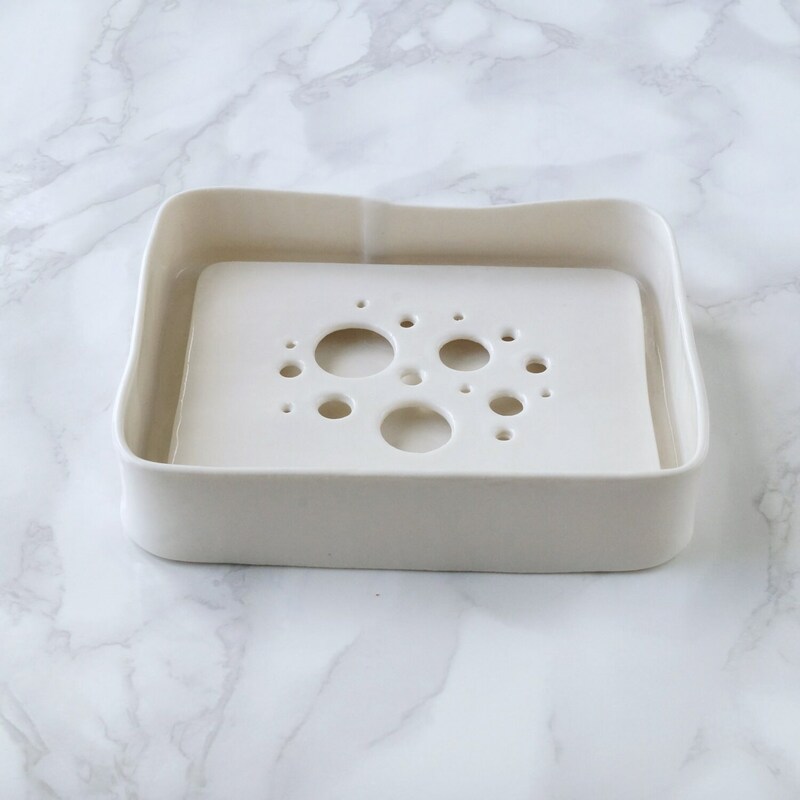 Handmade ceramic porcelain soap dish with bubble holes sitting inside a drip tray. 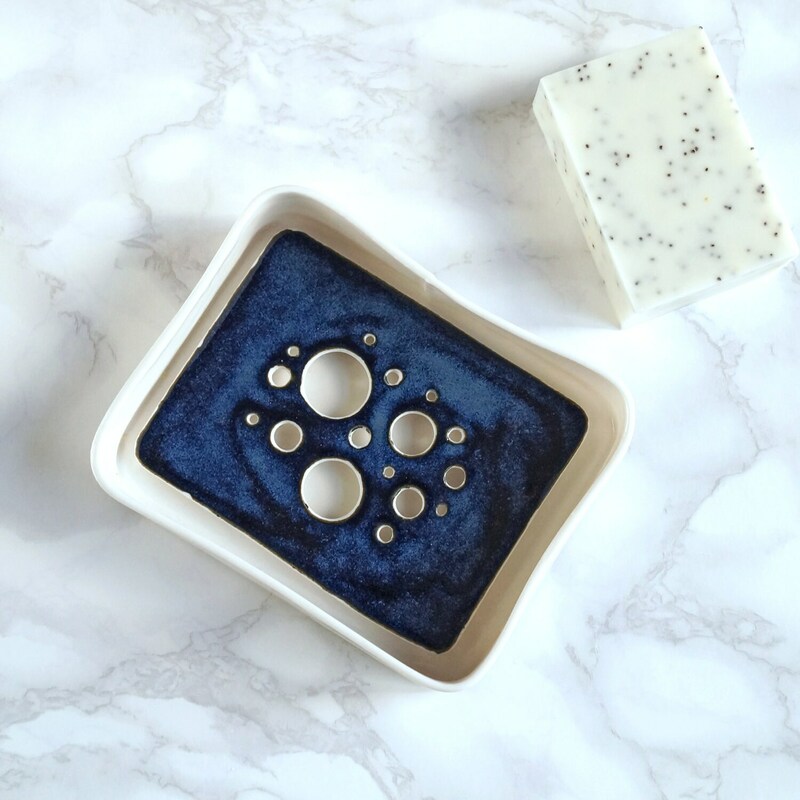 Suitable for bathrooms with counter tops. Designed to sit inside tray and easy to remove. 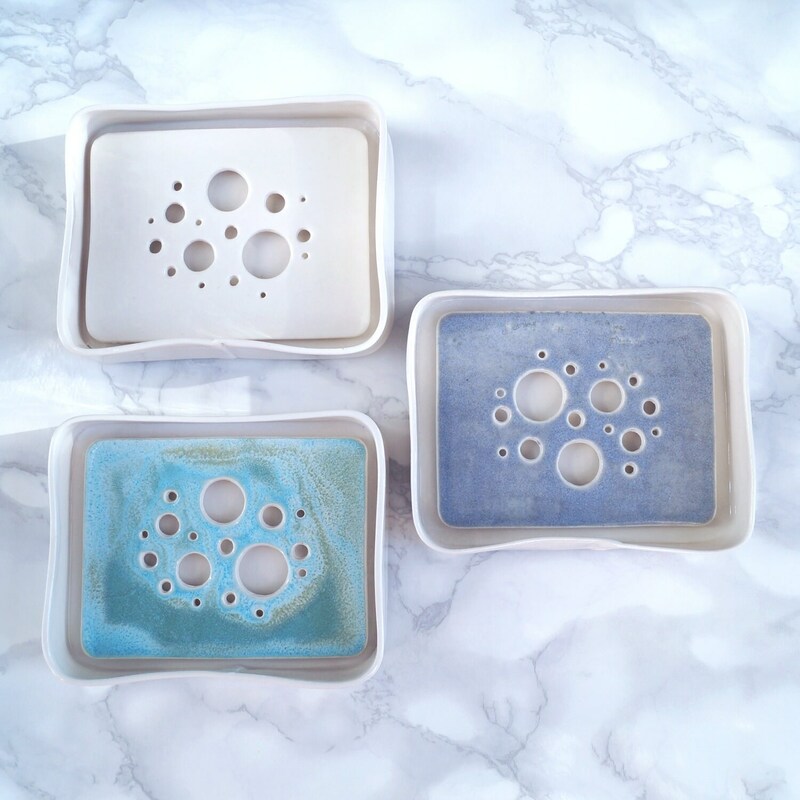 Your choice of glaze on the top surface. 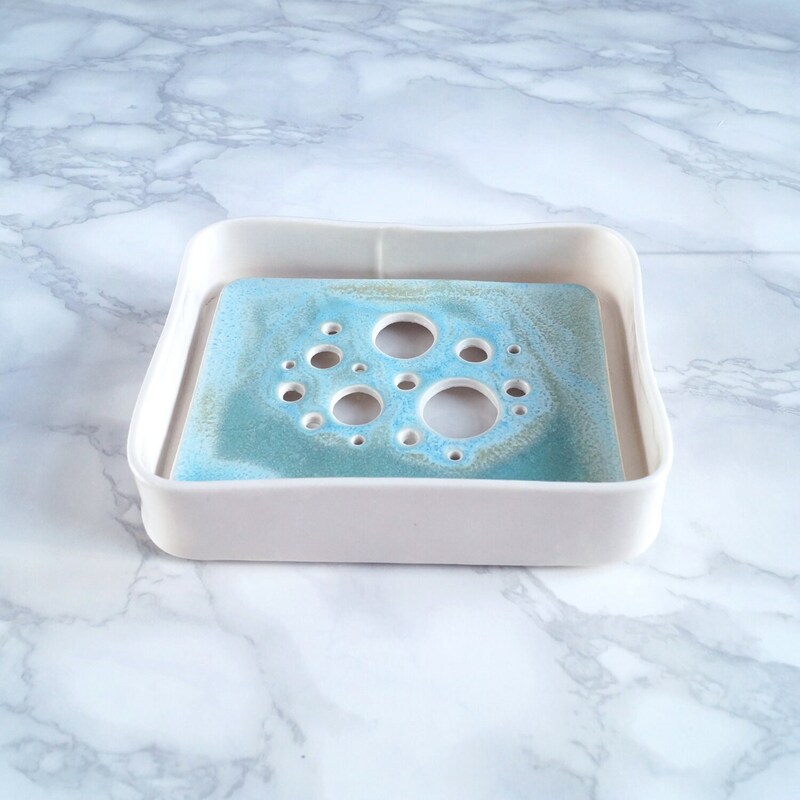 Matching tray with flat base and walls. Shiny white glaze all over. Designed to catch the drips from the soap dish. 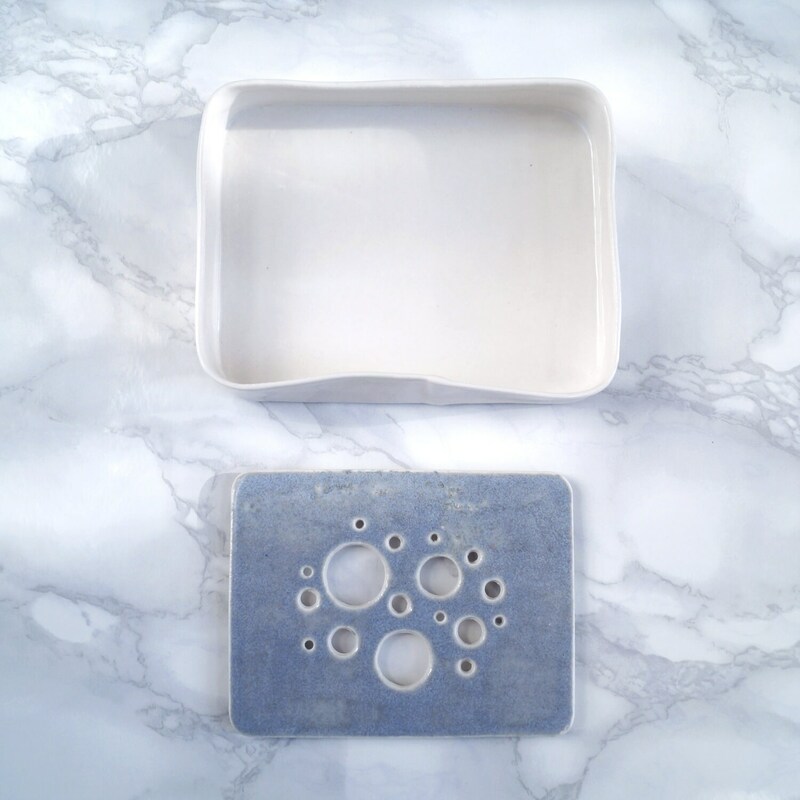 Tray 128 mm x 96 mm x 27 mm. Ready to ship in 3 - 5 weeks. 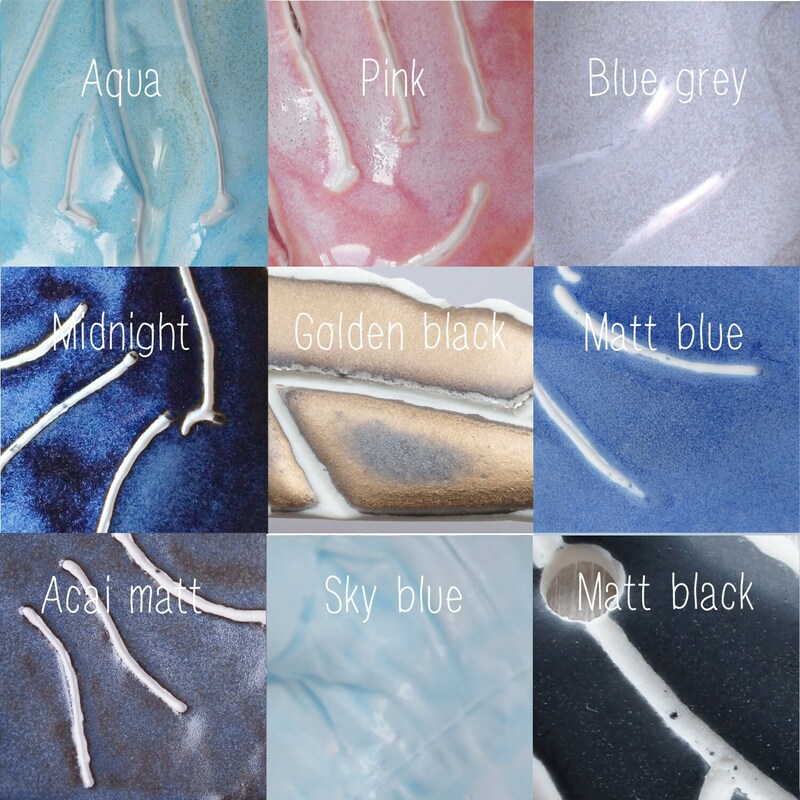 The colour you prefer may already be available and could be shipped sooner so please check in my shop.